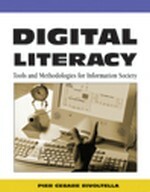 This chapter explores how media literacy education may continue to be responsive and relevant to the continually changing nature of popular culture through the development of innovative online multimedia educational programs. Because preadolescent and adolescent girls are actively involved in the consumption of popular music, competitive performance television programs like American Idol as well as online social networks, it is important to examine the constructed nature of these new types of messages and experiences. My Pop Studio (www.mypopstudio.com), a creative play experience for girls ages 9 to 14, was developed by the authors to address the need for media literacy skills among this group. We present a model for assessing the impact of the program on learning that incorporates the dimensions of pleasure, a sense of mastery, participation in an online community, media literacy skills, and other outcomes. Online games that use creative remixing techniques may promote metacognition, reflection, and critical analysis skills. Girls need opportunities to strengthen critical thinking skills about mass media and popular culture and the use of online learning environments may support the development of adolescents’ media literacy skills.